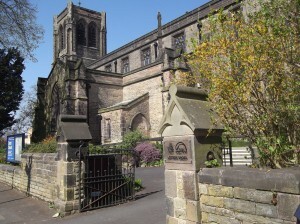 Phase I After receiving a grant from English Heritage for £145,000 work began in 2012. This involved work on leadwork and overflow chutes, rainwater goods, parapet gutters and masonry repointing. 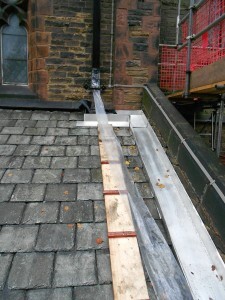 The lead lined gutters at a high level were replaced with terne coated stainless steel. 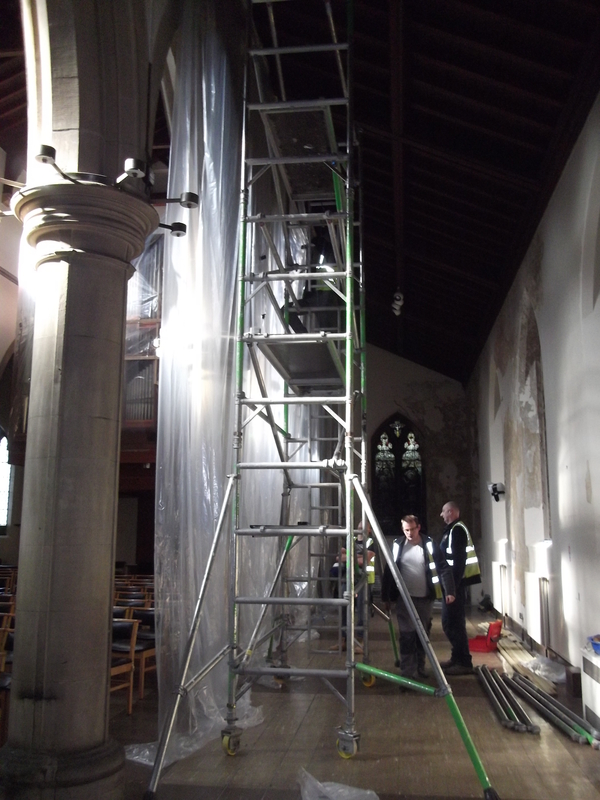 During the work we discovered we had dry rot, so some of the funding was diverted to tackle the worst areas (in the chancel). Please take time to look at our new hoppers and the new and restored downspouts! 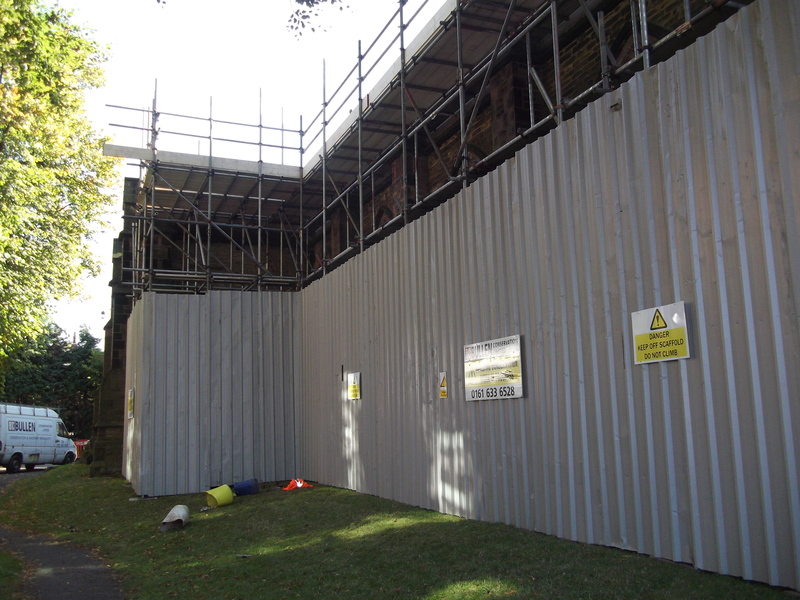 Phase II Engish Heritage offered much in the way of support and we were successful in obtaining a further grant of £175,000. We began work in the summer of 2014. 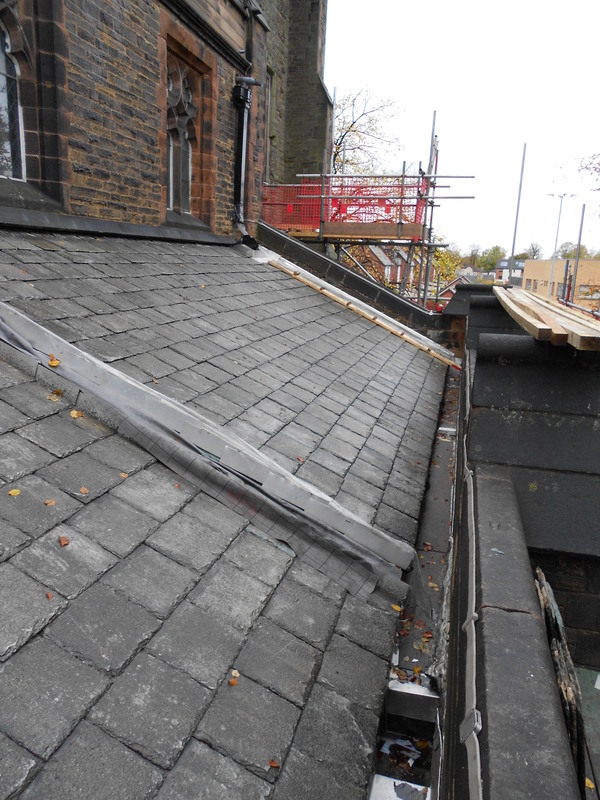 The work for this stage included removing the hardrow concrete tiles on the nave roof and replacing with terne coated stainless steel. 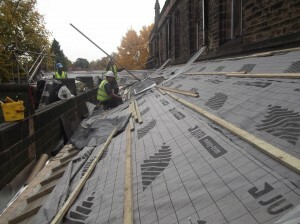 We are also providing insulation. Attention is also being given to the timbers and those affected by dry rot are being replaced. Phase III Earlier in the year we were the subject of a major lead theft and so there will now be an application made to English Heritage for Phase III, which we hope will complete the restoration of our Grade II Listed building. 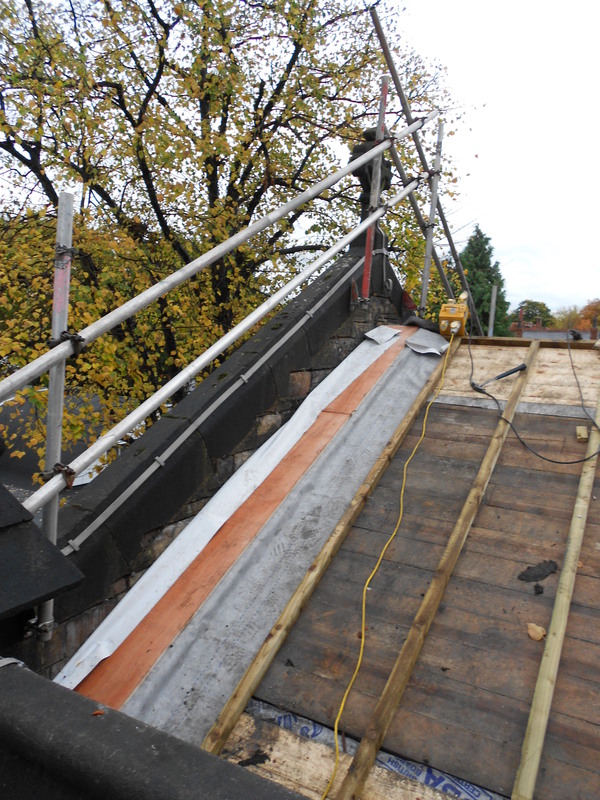 Work covered will include restoring the side aisle roofs, providing insulation, replacing the (stolen) lead lined gutters with terne coated stainless steel, and consequential redecoration. Please have look at the photographs showing the progress of the work. 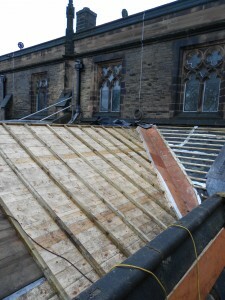 Donations to our Roof Fund would be much appreciated. 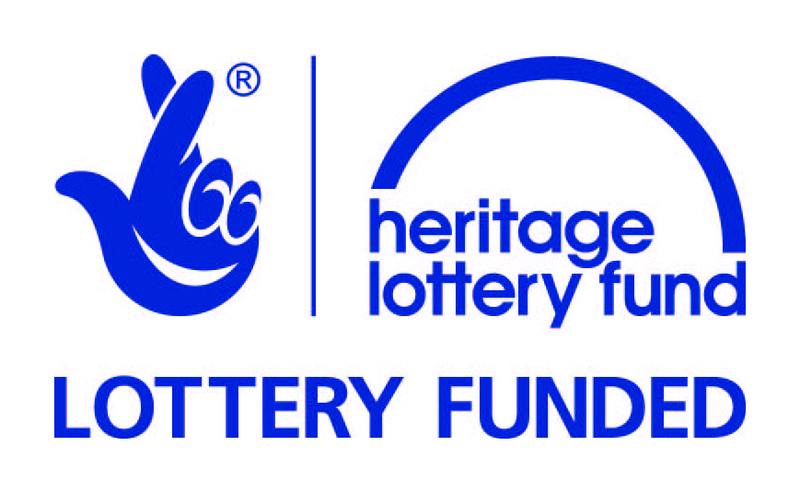 We are now delighted to announce that the Heritage Lottery Fund has assessed our application and decided to award us a first-round pass of up to £229,700, which represents 75% of the total project costs of £304,712. We are now busy developing our project to a second-round submission. 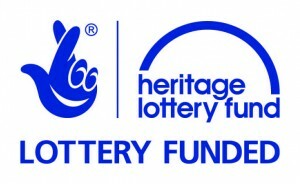 Our grateful thanks go to the staff at the Heritage Lottery Fund and to English Heritage for the help, support and guidance. Yipee! 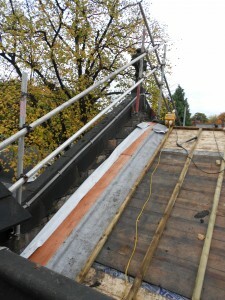 Work began on Phase III Roof works on the 28th September 2015. The lads from Bullens arrived, and we were very pleased to see them. 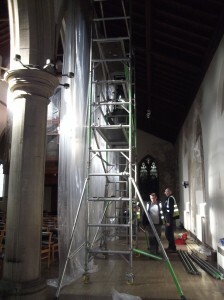 Scaffolding was erected inside and outside with new ‘curtains’ provided for the north aisle. We moved quite a bit of furniture and look forward to being ‘flexible’ in our worship over the coming weeks. The weather was kind as the scaffolding was erected. 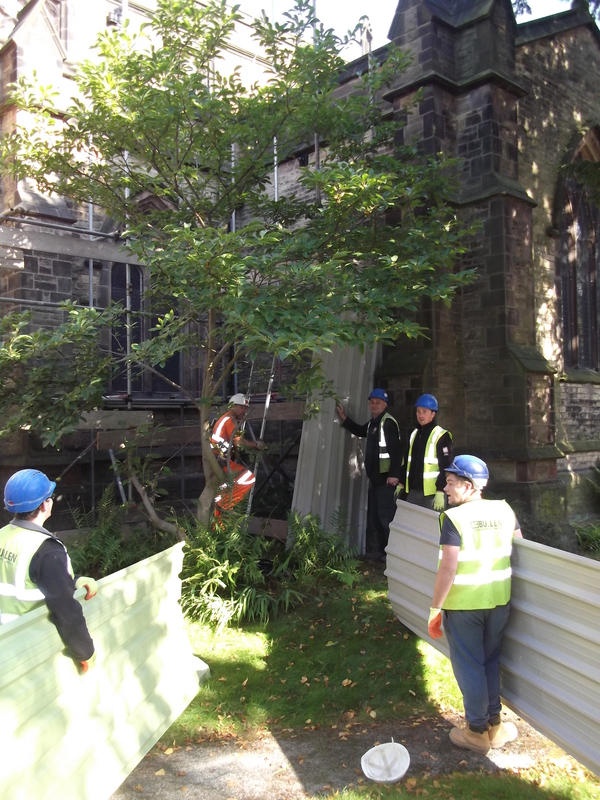 The new ‘curtains’ for the north aisle. The weather continued to be kind to us as the aisle roofs were stripped ready for insulation to be fitted and the slates refitted. We discovered more dry rot, but are dealing with it enthusiastically! By the end of October the slates began their return to our roof, and more work was done to the timbers. We are delighted that after 5 long years work on restoring Christ Church is now complete. Our thanks go to HLF, Bullen Conservation (especially Mike and Jeff) our Architect Alan Jackson and to everyone who supported us.